DIY antenna repairs happen a lot more than they should. Not just because homeowners are trying to save some money (although that’s part of it). Sometimes it’s difficult to figure out if you can do an at–home fix or whether professional help is needed. So, we’ve put together this complete guide to getting the antenna repairs you need in your home. We’ve designed this guide specifically for homeowners, but don’t worry – if you’re a renter and/or living in an apartment, we’ve covered what you need to know in our antenna repair guide for apartments. Does Your Antenna Have a Problem? Read more in our previous article all about the signs you need an antenna repair. What Are Some Common Antenna Problems? You may not need to call an antenna repair professional right away. Firstly, you can do a few checks yourself to figure out what the problem might be. Inspect the antenna– Go outside and check (from the ground) what your antenna looks like. If it looks bent, broken, knocked over, or isn’t pointing in the same direction as your neighbours’ antennas, then that’s probably your problem. Check your connections– Head back inside and make sure your flylead is properly pushed into the back of your TV and the TV wall point. If you’re able to push it in a little more, try turning on your TV and see if that fixes your problem. Inspect your cables– Check the condition of your flylead and any visible sections of your antenna cable (particularly on your external walls). If you can see any damage, that could be the problem. If your flylead is damaged, you should be able to pick up a replacement yourself at your local electronics store. Simply unplug the damaged lead, then plug the new one into your TV and TV wall point. If your antenna cable is damaged, that’s another matter (one you’ll need to leave up to the professionals). Check your TV– In some cases, the issue is the TV itself. One major clue to this will be if you have two TVs connected at TV points but only one is experiencing issues. If you have a spare TV, try plugging it in at the same TV point where you’ve been experiencing problems. If the problems go away, you’ll need to either book a TV repair technician to assess your TV and replace the relevant parts or take it as a sign to upgrade your TV. If you can’t see any issues from the above checks, that’s okay. Sometimes the problem isn’t clearly visible – particularly if it’s inside your internal wall or ceiling. An antenna repair professional will know how to check every factor and will have the tools and equipment to do it safely. There are plenty of home repair jobs you can do yourself, but antenna repair isn’t one of them. Beware of companies who quote you on your antenna repair without asking lots of questions and/or visiting your home first. The only way to get an accurate quote for your service is if your technician can see the problem and knows what parts and labour is needed to get everything up and running again. You’ll be happy to know that our technicians at Install My Antenna proudly tick all the boxes. So, if you’re in Sydney, Melbourne, Brisbane, Adelaide, Perth, Canberra, Gold Coast, Sunshine Coast, Newcastle, Wollongong, the Central Coast or any surrounding areas, we can help! Ready to Book Your Antenna Repair? Knowing as much as possible about your antenna is the best way to make an informed decision if repairs are ever needed. 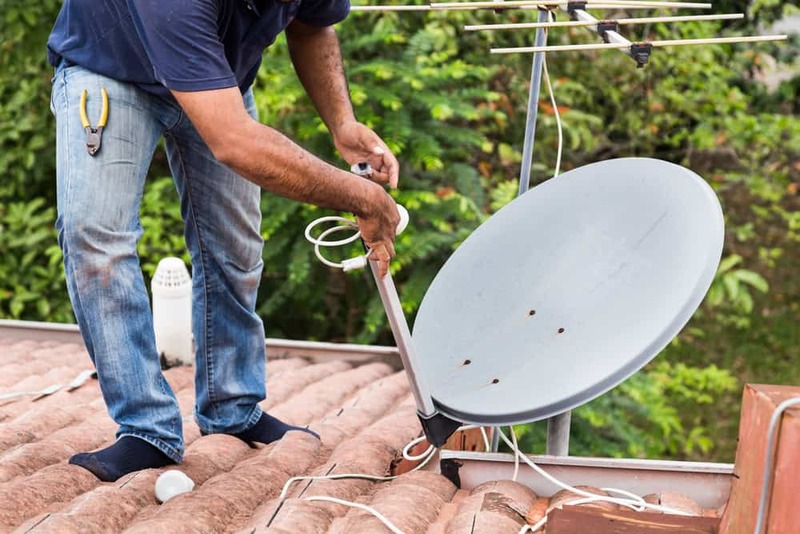 So even if you’re not currently experiencing a problem, it’s a good idea to be ready and read more into why hiring a professional is beneficial for antenna repairs. Hopefully, this guide has helped to equip you for potential issues both now and in the future. And when you’re ready to get a professional in, you can call us on 1300 800 123 for a free quote or to book in your antenna repair and get your TV antenna working again as soon as possible.